On Tuesday night, Caitlyn Jenner's new docu-series I Am Cait premiered for the press, and gave some pretty generous insight into her struggle with gender identity, as well as the complicated experience that it was for her family. The first episode of Jenner's show, which premieres to the public on E! July 26, shows Jenner meeting her family as Caitlyn for the first time; which as you might imagine, is a moment filled with emotion. But the episode also reveals Jenner's most surprising supporter: Kanye West; and sheds more light on just how West helped Kim Kardashian learn to accept Caitlyn Jenner and her journey. Hmm... so is West, the perfect husband? Obviously, I have no real idea, but he sure sounds like one. And he's clearly been a positive influence to Kardashian. During the episode, Kardashian and West also pay Jenner a surprise visit at her Malibu home, where, in typical Yeezy fashion, West gives some simple yet direct advice to Caitlyn: "F**k 'em. This is who I am!" That, quite frankly, is the essence of West. But while the Kardashian-Jenner clan has been overwhelmingly supportive on social media, there's something truly special about seeing West giving Jenner his honest and supportive advice on camera. Knowing that he helped guide Kardashian into the light, too, makes it all the more poignant. Did I ever expect West to be anything besides totally accepting, though? Not really. And to be honest, I didn't expect anything less of Kardashian, either. But the fact is, trans rights issues, and the trans experience in general, are still so misunderstood; which is why it's pretty admirable in the first place that Jenner's using her visibility and star power. Putting yourself in such a vulnerable position publicly isn't easy. At the same time, West's straight-from-the-hip advice works for anybody going through any kind of transition or life change. West is no stranger to standing up for his convictions or defending his personality. He's also clearly his wife's rock right now — the two of them have a lot going on in their own personal life now that there's a second baby on the way. But considering West's legion of fans, his acceptance of Jenner goes a long way in terms of the message it sends. While it's anybody's guess how many appearances West will make on I Am Cait, the eight-episode docu-series is expected to air to pretty big audiences on July 26 and feature many members of the Kardashian-Jenner fam. But if her acceptance speech for the Arthur Ashe Award for Courage at this year's ESPY Awards was any indication, Jenner seems to be taking 'Ye's advice already. 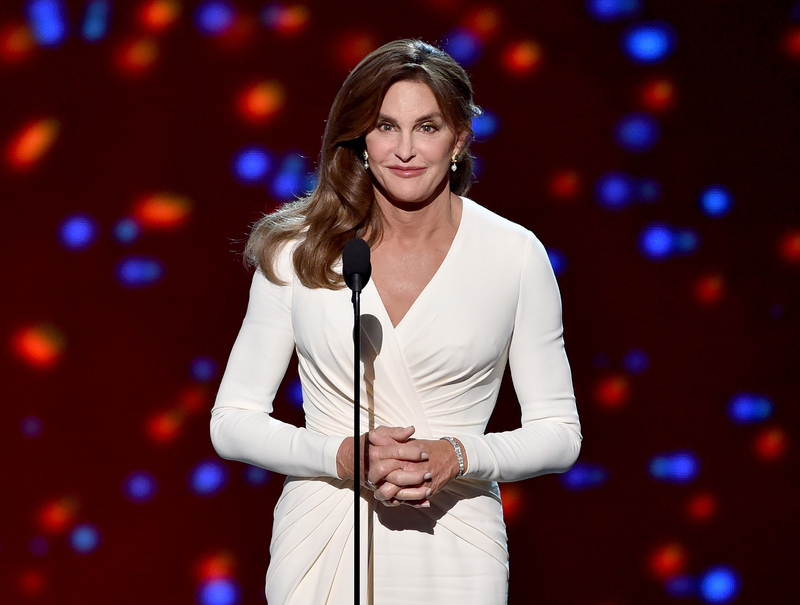 The tribute video that preceded Jenner's amazing speech didn't just focus on her superhuman athletic achievements; it also highlighted the need for more advocacy within the transgender community. And Jenner's own inspiring words gave hope that I Am Cait will continue to expose transgender issues, and that trans awareness is crucial now more than ever. "My plea to you tonight is to join me in making this one of your issues as well," Jenner said while standing before the audience of athletes at the ESPYs, urging them to use their own voices to stand up for those who are suffering and silenced.